The beauty of dollhouse is for everyone to see. Dollhouse, lovely miniature reproduction of real mansions crafted by expert artists in different scales as children toys or for the pure joy of collectors: they’ve been around for centuries and some of them are true pieces of art with enormous monetary value. There are plenty of examples of marvellous dollhouses furnished with fine miniatures representing real pieces of furniture from historical villas and castels, tiny paintings and embroidery of the highest quality. 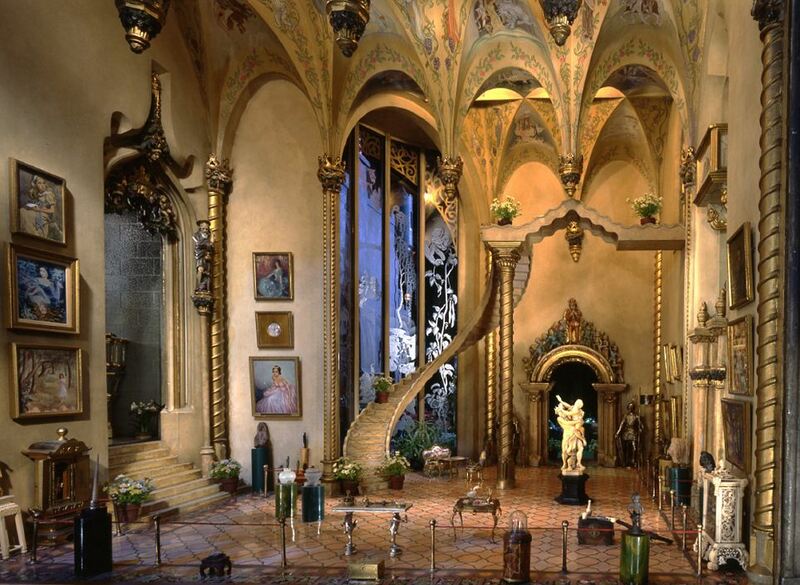 One of this rare pieces is the Astolat Dollhouse Castle, by the majestic Colorado-based artist Elaine Diehl. This awsome miniature mansion is made up of 29 little rooms and it took 13 entire years to be finished starting from the 1980s. It wasn’t obviously a one-woman cretion, but Elaine was helped by many different artisans, from glass blowers to carpenters and goldsmiths. The Astolat dollhouse is modeled after the Tennyson’s Lady of Shallot mansion and it contains pieces from the 1949 worth thousands of dollars alone. This miniature wonder is worth 8.5 million dollars and it was first displayed to the public for a benefic purpose in 2015: all the earnings from the show were donated to an Autism non profit association. You may not be able to afford this piece of craftsmanship, but you can start with one of the many dollhouse kits for beginners available online!